RESEARCH / United States / Sports Marketing / 2017 Soccer Broadcasting Contracts in the U.S.
2017 Soccer Broadcasting Contracts in the U.S.
A Review of Broadcasting Rights for 40 Major Soccer Tournaments and Team Properties including Corporate Sponsors of MLS and Mexican National Team. 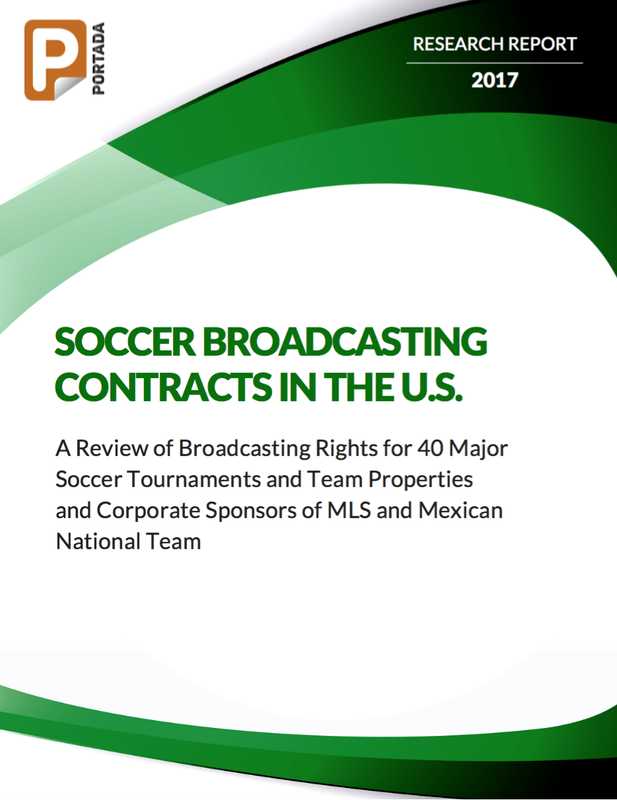 Description: This report describes current soccer broadcasting contracts in the United States for 40 major U.S. and international tournaments as well as for soccer team properties (national teams). Properties include FIFA World Cup, Liga MX, MLS as well as many other Latin American and European leagues and national teams. Must have intelligence for Sports Marketers as well as media and PR executives. Length: 6 pages, 2 tables. The tables describe which network has rights for what property, whether it is for English or Spanish broadcasts as well as when the contracts end. An additional table, outlines the current corporate sponsors for the MLS and the Mexican National Team. Buy: 2017 Soccer Broadcasting Contracts in the U.S.